Thank you for visiting our towing company website. We offer the best towing services at the best prices. Please call us today for a no obligation quote! Commercial towing, light duty towing — Are you a car, motorcycle, or vehicle-related business in the Pacific Northwest area? Do you have need of light-duty commercial towing for your customers and want to make sure that their vehicles are taken care of ? The professional tow truck operators and power equipment at Kent Washington Towing Company are there ready to handle all of your commercial towing needs and necessities and treat your clients as if they were our own. Whether you are a car dealer or mechanic or any other operation where vehicles need to be moved from place to place you can be sure that we have the equipment and the know-how to handle any job from motorcycles, to race cars, to exotics, to electric vehicles, to trucks. Commercial towing is not something that you want to leave to a amateur towing operation without the long history and solid backing and reputation of Kent Washington Towing Company. You can be sure that we will deliver and pick up your cars with the utmost care and with no damage to the vehicles. We have been serving small businesses including exotic car dealers in the Pacific Northwest for years and they reward us for our consistent service with their return business. If you also are in need of moving vehicles as part of your business why not make Kent Washington Towing part of your team. Dealerships, commercial fleets, repair facilities, and other such businesses have relied on us for our towing services since our company was started. If a car or truck or motorcycle becomes inoperable because it has been in an accident or because it is broken down, we stand ready at all times, 24 hours a day to provide point-to-point and comprehensive towing service at a moment’s notice for a reasonable price. Big or small vehicles, we have experience and know-how to tow it home safely. Kent Washington Towing Company is fully licensed permitted bonded and insured so that you can have the confidence that your car towing job will be done right the first time backed by the full faith and confidence of the insurance company and also the licensing board. Commercial customers depend on Kent Washington Towing Company to respond quickly and to respond safely and to provide professional service and reasonable pricing at a moment’s notice, 24 hours a day no matter what the job or the weather conditions. We will be sure to deliver our mutual customer’s vehicle for our commercial towing clients to their location, or to facilitate repairs, or for transfer, no matter what they need. Our safety programs which are mandatory ensure that your vehicle and our operators arrive safely to their destination and without incident. Our sterling safety record and reputation will back this up time and time again. Light duty towing is also a specialty of Kent Washington Towing Company. Broken down on the side of the road? Do you need roadside help? You have come to the right place, we can help you with flat tires, car lockouts, jumpstarts, and a towing service to get you off of the road and to a mechanic to fix your car. Roadside assistance, tire change, tire repair — Nobody plans to have an unexpected problem arise while they are driving and on the road. But even the best and safest drivers can’t plan for every contingency. 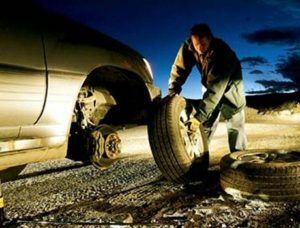 The weather, the conditions of the road, and the behavior and perhaps poor driving of other motorists can lead to such problems as a flat tire, or running out of gas, or a shorted battery. When one of these common issues happens to you be sure that you have the phone number for Kent Washington Towing Company programmed into your phone. We at Kent Washington Towing Company have been providing roadside assistance to motorists for decades and have earned a reputation for prompt and helpful service. Driving in the Pacific Northwest comes with its own set of issues challenges and dangers. You may take perfect care of your car and be sure that the engine is serviced and the gas is topped off and the battery is charged at all times but that won’t prevent you from encountering some of the hazards that driving comes with. The wet cement is prone to sharp holes that can make short work of your tires. Not to mention the hazards of all of the plant life and wood that can sometimes find its way onto the roads after a storm or heavy winds. ​Trees of our region are extremely beautiful but can create hazardous driving conditions for even the most conscientious and careful of drivers. Kent Washington towing company offers the most reliable and comprehensive roadside assistance service including flat tire service and tire change in the Pacific Northwest area and has earned a reputation for prompt service and professionalism. When you hire us we can use a flatbed to tow your car. The pros to using a flatbed to tow is your entire car will be elevated off of the ground so that no one can damage your car. Need a motorcycle towed somewhere? We are just the guys for the job. 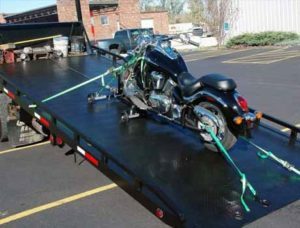 We have the right towing trucks to get your motorcycle safely home. Motorcycle towing, flatbed towing, vehicle towing, 24 hour towing. We here at Kent Washington Towing Company offer a wide variety of roadside assistance and towing services. It’s not always a four wheeled car or truck that is in need of assistance. Many of our customers are motorcycle riders and just like a car a motorcycle can find itself in need of roadside assistance just like any other vehicle. Motorcycles come with their own unique engines and also their own unique challenges when it comes to towing properly. Motorcycles can be very prone to damage and easy to mishandle without the necessary level of expertise. Our trained licensed and bonded tow truck drivers are well versed and highly trained in all areas of motorcycle assistance and maintenance and are extremely well trained and have years of experience both in motorcycle repair and maintenance but also in the proper way to tow a motorcycle without doing any damage to the vehicle. Did you lock your keys in the car again? Are you locked out of you car? Don’t worry our professional locksmith will come to your rescue in a flash and get you back on the road. Car lockout, lost your keys — Listen to this story and tell me if this sounds familiar as ever happen to you; you are walking out to your car either in your own garage or at the grocery store for leaving a dinner party, and you pat your pockets for your keys or check your purse, but you can’t find them. ​Frantically you continue to search but they are nowhere to be found. Then with a feeling of anger, frustration and disappointment you realize that you have locked your keys in the car and they are sitting on the driver seat! This situation has happened to all of us but it doesn’t need to be the catastrophe that it feels like at the time. Just give us a call at Kent Washington Towing Company where we have a team of technicians and drivers standing by 24/7 whose area of expertise includes safety and efficiently getting into your car to retrieve the keys inside. We offer a suite of unlocking capabilities. We are able to get inside of a car that is locked in a way that does not permanently damage the vehicle itself. We are also able to extract broken keys from locks since that happens very often. We’re also fully trained in high security key maintenance and manufacture so if you have a newer vehicle with keyless electronic entry we are able to reprogram a key or if necessary to tow your car to a dealership or home where a new key can be made and programmed for you. Our fleet of flatbed trucks are able to get your car from one place to another safely and efficiently without adding any damage to make sure that your key needs are met. If you have lost your keys then not to worry we are connected to a team of local key manufacturers in the Pacific Northwest who are reputable and efficient who will be able to get you a new set of keys ASAP and get you back on the road as quickly as possible. 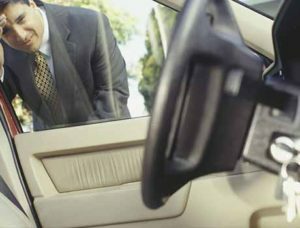 Losing your keys or locking your keys inside of your car is a frustrating and annoying thing to happen. We have all been there. But with the Kent Washington Towing Company we can minimize the inconvenience and time that it takes out of your day and get you back on the road for as little cost as possible. There’s no reason that it should cost an arm and a leg and ruin your day. Keep our phone number in your phone and you can call and we can dispatch one of our drivers as soon as possible. Besides key issues we also offer a full suite of roadside assistance services. Whether you have locked yourself out of your car or you have run out of gas, or you find yourself with a flat tire and need a tire change, or you find yourself with a dead battery and need a jump start we have the trained professionals and the equipment and trucks to be able to assist you in any form no matter what the problem is. If we are not able to get you back on the road then our team of trucks will be able to tow your car either short distance or long distance to make sure that we get it to a garage or mechanic who can do the job. We offer a long distance and also local towing and are able to tow any manner of vehicle, whether it is a car, truck, low profile racing car, or motorcycle. Kent towers can tow any sized vehicle. Do you need a small vehicle towed, mid sized vehicle towed? No problem we have highly trained professionals with the latest and greatest towing equipment to help you out with any towing needs! Call us today! Finding yourself on the side of the road with a disabled vehicle is a high-stress situation. We at Kent Washington Towing Company understand this and we pride ourselves on our speedy and comprehensive response to any of your emergency towing needs. Our emergency tow service is available 24 hours a day, 7 days a week ,and 365 days a year anytime and anywhere that you find yourself in need of emergency service and towing. 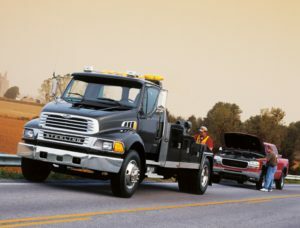 We will dispatch one of our licensed and bonded towing professionals to immediately respond to your situation. There are many situations which can arise on the road or off that can create an emergency situation where a tow is necessary. Car collisions are a frightening and sometimes unavoidable part of driving. If you find yourself after an accident either with your car on the side of the road or even in the middle of traffic you want to be sure that towing is one less thing that you have to worry about . Let us at Kent Washington Towing Company help ease the stress of an emergency situation by handling your towing job with professionalism and reliability.